. . . . The next step in the CIA ladder after his high-level overseas informant service was his work with the strange company called Permindex. When the announcement for Permindex was first made in Switzerland in late 1956, its principal backing was to come from a local banker named Hans Seligman. But as more investigation by the local papers as done, it became clear that the real backer was J. Henry Schroder Corporation. This information was quite revealing. 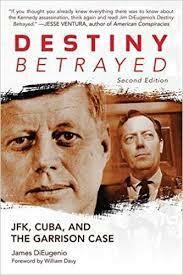 Schroder’s had been closely associated with Allen Dulles and the CIA for years. Allen Dulles’s connections to the Schroder banking family went back to the thirties when his law firm, Sullivan and Cromwell, first began representing them through him. Later, Dulles was the bank’s General Counsel. In fact, when Dulles became CIA director, Schroder’s was a repository for a fifty million dollar contingency fund that Dulles personally controlled. Schroder’s was a welcome conduit because the bank benefited from previous CIA overthrows in Guatemala and Iran. Another reason that there began to be a furor over Permindex in Switzerland was the fact that the bank’s founder, Baron Kurt von Schroder, was associated with the Third Reich, specifically Heinrich Himmler. The project now became stalled in Switzerland. It now moved to Rome. In a September 1069 interview Shaw did for Penthouse Magazine, he told James Phelan that he only grew interested in the project when it moved to Italy. Which was in October 1958. Yet a State Department cable dated April 9 of that year says that Shaw showed great interest in Permindex from the outset. As discussed in FTR #’s Trang web cá cược trực tuyến1031 and 1032, JFK was an early critic of the French policy in Algeria, criticizing it on the floor of the Senate in 1957.